I recently have reviewed a cloth diaper from jackbenatural.com They have a wide variety of different types of cloth diapers to choose from. They also have a section called cloth diapering 101 if you are interested in cloth diapering and have alot of questions it also shows a comaraison in price to the cost difference of cloth vs disposable. It came very cutely packaged in a great reuseable bag. Includes one snap-in insert made from 3 layers of Microfiber. Stays attached to the diaper in wash / convenient for AI2 use (liner recommended). One Lucky Follower is going to win one of these cloth diapers! Must like JackBeNaturalBeNatural on facebook. 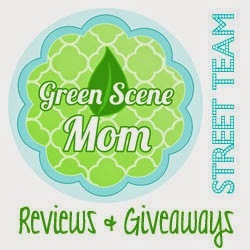 Thank them for tryingtogogreen cloth diaper giveaway. Also tell them your favorite product on their web site Then comment here that you did that to be entered! I follow you via gfc, am a fb fan of Jack Be Natural and thanked them and told them my favorite product! I follow you via emails! I friend requested you on facebook! I follow Jack Be Natural on twitter! I friended you on FB as Melissa D. E.
By the way, love your new layout! I follow through GFC (sharon lachendro) and liked Jack Be Natural on FB (sharon mclaughlin). I thanked them and commented on their one size diapers. Added your button to my blog. It is in the right sidebar.